(Brand New Venue!) THE VANGUARD’s Inaugural Production, ALWAYS…PATSY CLINE to open March 13th! FORT LAUDERDALE, FL: Artists and Patrons of the Arts in Fort Lauderdale and throughout South Florida have a good reason to be excited. This March a new performing arts space will open its doors in the South Andrews corridor of downtown Fort Lauderdale. The venue, The Vanguard, is located at 1501 S. Andrews Avenue in what was formerly a church when the building was first erected in 1939. Special opening night festivities will take place on March 13th, starting at 7pm, with complimentary ‘Southern fixins’ provided by Tap 42 and other local sponsors, including Croissan’Time, Wine Watch, and Starbucks Coffee. Sculptor Glen Mayo will be displaying a piece entitled “Windows” in the lobby of The Vanguard for the month of March. The creative team behind The Vanguard has given the space a remodel – with the emphasis on “mod” – because the building’s décor has a definite mid-century flair. The intimate, black box space boasts beautiful, original Dade County pine ceilings that reach 30 feet high. The venue will seat 100 people. The Vanguard will function as a venue as well as a producing entity in its own right. In addition to Vanguard productions, programming will include work by its resident theatre company, Thinking Cap Theatre, along with work by other local and distant theatre practitioners; dance events; film screenings; stand up comedy; art installations; and live music. For more information about The Vanguard, visit www.vanguardarts.org. Always…Patsy Cline is a tribute to the legendary country singer who died tragically at age 30 in a plane crash in 1963. The play is based on a true story about Cline’s friendship with a fan from Houston named Louise Seger, who befriended the star in a Texas honky-tonk in l961, and continued a correspondence with Cline until her death. The Vanguard’s production will star Ann Marie Olson as Cline, and Sally Bondi as Seger. Stodard will direct the production, and Andy Gilbert will provide musical direction. 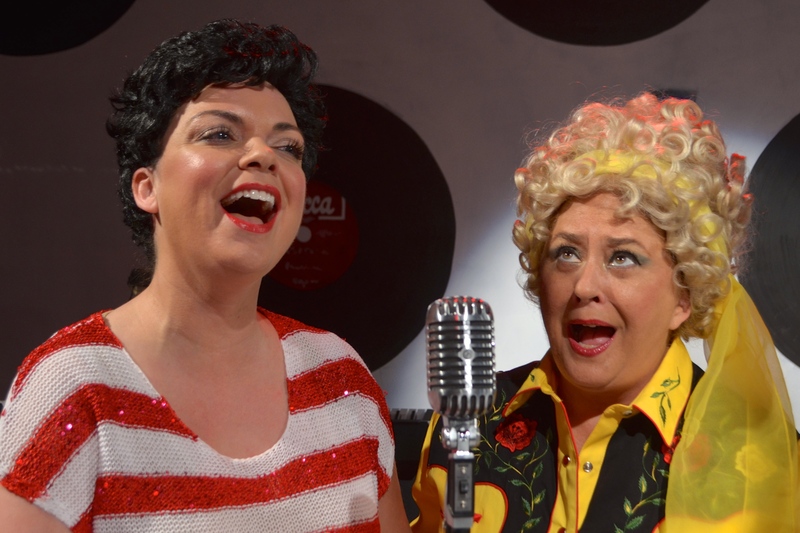 Always…Patsy Cline will run from March 13th through March 29th at The Vanguard. Tickets are $35, and are on sale now. Tickets can be purchased on line at www.vanguardarts.org or by phone at 813-220-1546. Performances are on Thursdays, Fridays, and Saturdays at 8 pm, and on Sundays at 5 pm. There is an 8 pm performance on Wednesday, March 25. The Vanguard is located at 1501 S. Andrews Avenue in Ft. Lauderdale (33316). For more information, production shots, head shots, or to set up interviews, please contact Nicole Stodard at 813-220-1546 / nicole@thinkingcaptheatre.com or Carol Kassie at 561-445-9244 / ckassie@gmail.com or visit www.vanguardarts.org .